I heard Henry as he was walking to his car and wondered why he was so down on himself. Henry is a hard worker, I see him standing on the practice range at least once a week hitting golf balls. I’ll be going to the first tee with a Golf Made Simple class to do our on-course Instruction and there will be Henry banging golf ball after golf ball on the practice range – one after another – “looking for the magic”. Are you a Positive or Negative Golfer? Which are you? The golfer that from 162-yards from the hole hits the ball on to the green about 20-feet right of the flag and then complains that your swing didn’t feel good on that shot? Or the Player that says – “OK let’s go knock that putt in for Birdie”? Let’s Play – Who’s the Monkey? In each question below, I’ve written 2-statements, try to answer which statement was made by a “Player” and which was made by a “Monkey”. In case you’ve forgotten, a Monkey is a golfer that’s never as consistent as they want to be, they’re always looking for the next hottest tip to try on the golf course and they’ve been taught to play golf using someone else’s strategy and swing, instead of their own. Thus, causing the Monkey to become frustrated by their inconsistency on the golf course because among other things, they always feel rushed because they feel they’re holding up the other golfers in their group. This ex-Monkey is a great person and we think you’ll enjoy what he has to say about how he was able to get his game back. Monkey See, Monkey Do, And why video will kill your game! Are you interested in getting your swing videotaped and reviewed – have you ever had a Video Golf Lesson where the Pro videotaped you and then told you everything you’re doing wrong in your swing? Have you ever had a Pro tell you everything you’re doing wrong, along with comparing your swing to a PGA or LPGA Tour Professional? Golf, Golf, Golf – That’s what I want to do. Only if I do it well! I want my swing to be as smooth as Ernie’s and as powerful as Daly’s. I want my wedges to spin like Phil’s and be as precise as Annika’s. Hitting a terrible golf shot might be the most frustrating aspect of playing golf – however, it’s something that every Golfer will experience at least once a round. So although you don’t want to have the mindset that you’re expecting to hit a bad shot – you shouldn’t be surprised when it does happen. Yet, as much as you know that you’ll eventually hit a terrible shot – we all find it extremely difficult to not allow it to bother us. Below are some questions that pertain to your golf game. By answering these questions we can find out what type of Golfer you are, what gets you motivated to play better and what aspect of your game you need to work on harder. Now some of these questions are a little outlandish and will never happen on the golf course – but take these questions in stride and have FUN with them. Are you playing up to your potential on the golf course? Or are you still playing to the same level you were 3 years ago? A Player is constantly improving their game by using a “Results Based Approach” of having a PLAN to improve. A Monkey continues to stay frustrated with their golf game because they’re continually listening to the advice of other Golfers that struggle. We refer to this as using a “Theories And Assumptions Based Approach”. No One Is Safe After Making a Birdie! Are you more likely to hit a bad tee shot after making a double bogey (or worse) on the previous hole? Or are you more likely to hit a bad tee shot after making a birdie on the previous hole? It is amazing how many Golfers I have seen make a great birdie (or miraculous par) on one hole and then get up on the next tee box and hit their worst drive of the day. Why is it that after having a terrific hole would you follow it up with a terrible tee shot? Why do we call a frustrated Golfer a Monkey? It has nothing to do with one’s ability. It has to do with how a Golfer goes about learning. I’ve seen Monkey’s that shoot in the low 80’s and I’ve seen Players that are just starting to break 100. The difference is that the Monkey will become frustrated because they’re in the same scoring range for an extended period of time – while the Player is excited because they’re seeing improvement every time they step on the golf course. So we left off last week’s Why Henry Hates Golf speaking about how to get the golf ball up in the air. The common fallacy in golf is that you need to get underneath the golf ball to get it up in the air. And if you try to get underneath the golf ball – you’re probably going to either hit behind the golf ball (meaning the ground before the ball – which is never good to do, unless you’re in a sand bunker next to the green) or you’re going to avoid hitting the ground by compensating in some way that you’ll end up hitting the top of the golf ball. With much awaited anticipation Golf Improvement Weekly has arrived in 2007. From Golf Made Simple, we wish all of our readers a very Happy and Healthy New Year. If you have not read the previous issues from December 2006, you may be asking yourself “Who is Henry?” Henry is a frustrated golfer and is in need of some helpful advice about the game of golf. Continuing from last weeks ‘Why Henry Hates Golf’ we left off with Henry saying to Marc that he is frustrated with his game and wants to become more consistent. Marc starts to speak about what the best players do to become more consistent and Henry is eagerly awaiting his answer. ‘I’m going to try to the Stack and Tilt. I’ve tried the 8 Step Swing, The X Factor, Slow and Low, Square to Square, along with every other new swing that has come out. ‘I’ve tried video analysis, I’ve tried Golf Tec, I’ve even tried getting down on my hands and knees to pray. I heard Henry as he was walking to his car and wondered why he was so down on himself. Henry is a hard worker, I see him at least once a week hitting balls on the practice range. I’ll be going to the first tee with a Golf Made Simple class to do our on-course Instruction and there will be Henry banging balls on the practice range – one after another – “looking for the magic”. The idea of standing on the first tee without knowing how you are going hit your first tee shot is enough to make a grown man cry. Believe me … I have seen the tears after watching Golfers hit bad tee shots. How To Turn Bad Decisions Into Great Golf Swings! Do you know how to caddie yourself into a good round of golf? The best Players in the world are much better than the rest of us with all facets of golf. Really, to compare ourselves to being anywhere close to as good as a PGA or LPGA Tour Player would be the same as comparing yourself to Eli Manning (in the US) or Wayne Rooney (in Europe) on the football field. There might not be anything that impresses me more about a Golfer than their ability to practice effectively. To be able to go the driving range with a Practice PLAN shows how serious a Golfer is towards improving. But the reality is that a Golfer that goes to hit golf balls as their sole method to improve, is not serious about improving their golf swing! As we were looking through Golf Improvement Weekly archives for a quote of the week, we came across a Classic GIW from 2006. As we read it – we couldn’t stop laughing at how true it is. So we want to present this GIW to you to read. This truly is a classic! Do You Hate Blow-up Holes on the Golf Course? What’s the percentage of time that you take out your 3 wood for your second shot on a Par 5 hole? If you’re like most Golfers, the answer could be 80% or higher. Though, the Players on the PGA Tour aren’t even close to that high of a percentage. So why are you using your 3 wood more than the PGA Tour Player? And please don’t say because the PGA Tour Players hit their Driver so much farther than you – because they play a golf course that’s much longer than the course you play – so things balance out. Watching golf on TV is great especially if there’s a great match going on like they did last Sunday at the Honda Classic in South Florida. When a golf match gets down to the last few holes with a few Players around the lead you get to see all the great shots and all the shots that don’t go as great – or as the golfer watching on TV says when the Player goofs-up “Hey that looks like me, I could’ve done that.” But, because most of the time these Players that are in contention are in the “Zone” or as we like to say – they’re on a streak of good shots – you only see the best golfers at their very best. And in a way, this is unfortunate because it would actually help your game if you’re able to watch the best Players In The World struggle a little bit. Go From a Frustrated Golfer to a Happy Player! Why is it that it seems like some people that begin to play golf pick-it-up right away? Then before you know it, they’re breaking 100, busting through 90 and in less than 2 years – they’re in the 80’s for a short spell before moving into the 70’s in year 3 or 4. Why Henry Hates Golf – Have You Ever Met Henry? Over 90% of the Golfers we see average more over par on the Par 5’s than on the Par 3’s or 4’s. While 100% of the PGA Tour Players average more under par on the Par 5’s than they do on the 3’s and 4’s. Maybe there’s something we can learn from the best Players? For example: Adam Scott’s average score on the Par 5’s is 4.4 strokes per hole. On the Par 4’s … his average is 4.03. And on Par 3’s is 3.17. In many parts of the United States, Canada and Europe, you’re halfway through your summer Golf Season. You might only have a few months of good golf weather remaining until your golf clubs are put-a-way in the basement, garage or wherever you put them until spring. So tell me (or tell yourself) – what have you accomplished so far this year on the golf course? Lower scores, more consistent ball striking, a better understanding of your golf swing, or did nothing get better? Hopefully the answers are one of the first three options as opposed to the last. ….. go to warm-up at the driving range with just your Driver before playing. Could you ever imagine Rory warming up for a round at the Masters by just hitting his Driver? As it often takes multiple opportunities to pass a Magic Number (for example: Phil Mickelson, Michelle Wie, Sergio Garcia, etc.) … it becomes a series of being so close, but then making a bad score on the 18th hole. Or after hitting your Driver great all day … out of nowhere, you start hitting it terrible on the 15th hole. Or needing to make a 6 foot putt on the last hole that just rolls across the edge of the cup without going in. Every Golfer has the ability to make improvements each time they go to the golf course. But unfortunately, the style of practice for the majority of Golfers doesn’t allow for this as their practice comes down to simply searching for a swing that produces a great shot – then trying to repeat it. But if the next one isn’t equally as great – you are off to find something else. Your Golf Game Has Good Habits & Bad Habits — What About Mediocre Habits? Habits in Golf are usually classified as being good or bad. Have you ever heard of having a Mediocre Habit? Mediocre Habits – this is like a gray area. You know that you have some Good Habits and you know have some Bad Habits – these are easy to spot because they’re black or white, they standout and that’s good. You can notice your Bad Habits and correct them and you can see your Good Habits and continue to profit from them. But it could be your Mediocre Habits that are killing your golf game. It seems as though many Golfers get so close to shooting their best score ever, but then we ultimately, out of nowhere, do something to mess ourselves up on the last hole or two. Fortunately, this is a process that doesn’t need to be constantly repeating itself. There is a way to get over the hump so that you don’t “shoot yourself in the foot” on those last couple of holes. How Do You Know If You’re Practicing Effectively? Do You Improve Your Golf Swing When Practicing? Are you the Golfer that goes to the driving range to hit a bucket of golf balls so that you can work on your golf swing? You know, hit a few irons, hit a lot of drivers, try a few new things in your golf swing. When’s the last time you said – “That’s the best round of golf I have ever played!”? When’s the last time you said – “Oh, I stink. That was the worst round of golf I have ever played!”? It’s my belief that the latter statement is said more often than the first statement. Which is a shame because you should be having fun on the golf course and making progress whenever you play. 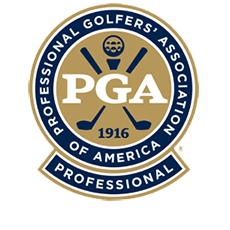 But judging from what we hear from a vast majority of Golfers – there are more Golfers playing worse than ever versus the number of Golfers that are playing better than ever. Maybe that’s why they’re calling GMS. Is Your Golf Swing Too Complicated? Strike The Golf Ball With An Effortless Swing! The idea that golf needs to be as complicated as many Golfers are making it is a frustrating/confusing concept to me. Every week, I hear of a new, groundbreaking concept that someone has come up with that’ll help all Golfers to hit the golf ball farther and straighter. I’ve heard about new grips, swing plane concepts, weight transfer systems, along with stuff I don’t want to even mention that supposedly will make your swing automatic. Are You A Golf Score Addict? Are You A Golf Score Addict? Many Golfers believe it’s a good thing to be thinking about score during their round, before a particular shot or during their swing. But unfortunately, it’s the worst thing you could be thinking about on the golf course. It would actually be better for you to be focused on what you’re going to have for dinner later that evening – than it would focusing on your score!